General Hosptial Star Brytni Sarpy's Father is in the Hospital. 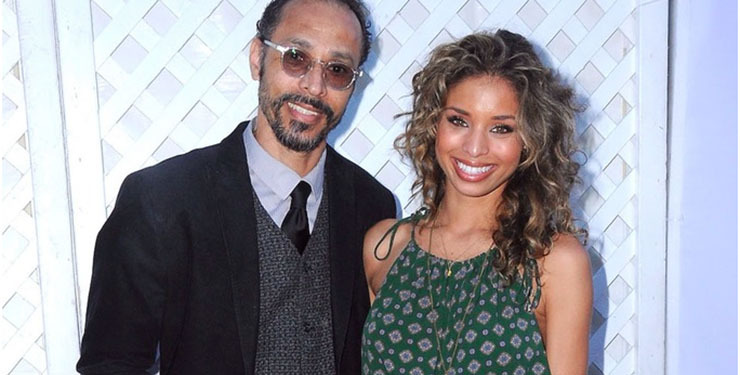 Brytni Spray took to Instagram to request fans’ love and prayers for her father, Mel. The actress posted an Instagram photo of her father in a hospital bed telling fans it is he, not her, who was admitted. There was originally some confusion concerning the talented thespian’s many fans. Sarapy’s (Valerie Spencer, “General Hospital”) father has been battling Parkinson’s disease, according to Soaps In Depth. The two, who share a close relationship, attended a benefit in 2015 to raise funds for research to find a cure for the neurological disease. As yet, there are treatments for the symptoms of the disease and to slow its progress for the disease. But researchers still are unsure what causes the devastating illness. Sarpy sweetly asked fans not to tell her dad she posted about his hospital visit on social media. He didn’t find the humor in the online documentation of this unwelcome trip. Sarpy also posted an Instagram photo and comment several weeks ago acknowledging her father’s valiant fight against the disease since he was diagnosed nine years ago. The actress also posted shots from that benefit for the Hollyrod Foundation, which raises awareness for Parkinson’s Disease and Autism. Scroll down to see her Instagram posts. We’ve seen glimpses of Valerie on GH lately, but nothing major. Perhaps she needed some time off to help take care of her dad, but that is our Soap Cities speculation. We at Soap Cities are thinking of Sarpy’s dad and wishing him the best. We know he will be in top shape again soon. We also hope to see the luminous Valerie back on our screens soon.